Last week I wrote a column on theheart.org | Medscape Cardiology on the new Apple Watch ECG and Kardia Band. The Tweet I sent out on Saturday has done well — 74 Retweets (without any robots) is pretty good. Here is an overview of some of the points I made in the column. One is that Apple’s interest in AF is huge. The company has partnered with Stanford researches and has started the Apple Heart Study. Any owner of an Apple Watch can volunteer to participate. The excitement of mobile ECG technology is that it allows for rhythm screening–mostly AF. The thinking: stroke is a major health problem; AF associates with stroke and we have treatments (anticoagulants). Thus it would be good to know one’s heart rhythm. You know how simple thinking about screening works in medicine. Yes, there are snags. One problem now is accuracy. In the column, I attached two AliveCor tracings that mistakenly labeled premature beats as AF. Both patients suffered anxiety from the fake AF. I did list many upsides of mobile ECG technology. Marc Cuban himself tweeted on my timeline that he had AF and likes the peace of mind of knowing what his rhythm is. A man from Romania, where access to doctors is less than it is here, made the point that mobile ECGs allowed him to get faster responses from doctors. My friend Dr. Gopi Dandumudi from IU believes that empowering consumers to be involved in their healthcare is a good thing in the long run. And I have often prescribed the AliveCor to confirm diagnoses and monitor for side effects from drugs. Indeed the device is useful for specific tasks. Of course, its proponents (and marketing team) hype it as a revolutionary tool for health. This may be true someday, but I have many concerns in the interim. One is that the causal link between AF episodes and stroke is less certain than you may think. This argument gets complicated. There was once a researcher named Bradford Hill who came up with nine criteria that should be fulfilled if one factor is thought to cause another. Another challenge is that we don’t whether clot-blocking drugs (anticoagulants) will benefit patients with shorter-lived or non-symptomatic AF (EPs say subclinical AF) in the same way it does those patients with longer-lasting or symptomatic AF. The studies showing anticoagulant benefit were done in people with clinical AF or AF seen on multiple, regular in-office ECGs. The reasons to doubt anticoagulants will benefit many of the people with short-lived AF is that plenty of studies observe very low untreated stroke rates in these patients. That is key because it’s hard for any treatment to lower an already low event rate. Remember, too, anticoagulants don’t come free: they do increase the risk of bleeding. No doubt these drugs are beneficial in higher stroke-risk patients, but the mobile ECG will greatly expand the pool of lower-risk people. The most scary challenge of the mobile ECG is that the greater numbers of AF diagnoses will occur in a US healthcare system that pays hospitals and doctors to test and treat. If you combine fee-for-service payment models and most doctors’ fear of anything heart related, it’s easy to predict a massive increase in overtreatment and overdiagnosis. Think here of the children’s book: If you give a mouse a cookie. Proponents rightly point out that this problem is not the fault of technology. Finally, the big problem with any new technology is its ability to distract us. Here I believe the distraction is from already proven ways to prevent stroke: read the article. I explain what those are. 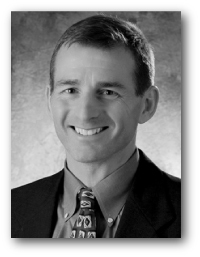 Dr. John, I appreciate your articles very much. We would be so grateful if you could bring your thoughts and expertise on the new implants – the WATCHMAN and/or the LARIAT procedure. Are these not reasonable atlernatives to having to take blood thinners for the rest of one’s live and risk excessive bleeding? I have AF and have used Alivecor whenever I have arrythmia’s . I have had AF for five years, have had a serious stroke and am on anticoagulant. I have had three ablations. I find it useful as it gives me a timeline and a heart rate. I agree that it shows possible AF when clearly it is something else so it needs using with care. I mostly use it to show the cardiologists my ECG’s so that they get the picture. I actually think the best way of knowing what is wrong is taking my pulse but I need the cardiologist to have the facts. I am a 70 year old male who has been running and competing for over 50 years, who has had open-heart surgery 26 years ago(right AV fistula repair), and who was diagnosed about six months ago with paroxysmal AF. 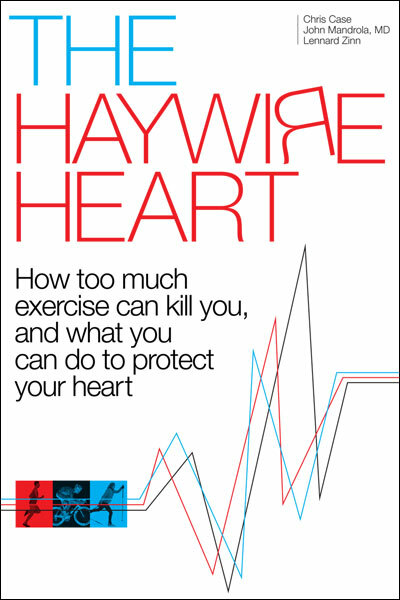 After I was diagnosed, I read Dr. M’s book The Haywire Heart which was a sobering experience considering my life style. My life now is trying to continue to exercise at a lower intensity level without damaging my heart further and risking stroke. I was alerted to the Alivecor device by my cardiologist. I share my heart rate monitor and Alivecor results with him, especially those that are not normal, when I have followup visits with him. He has set limits for my heart rate and adjusted my medication levels after reviewing the EKGs taken at his office and my input. I think the Alivecor devices (I have both the finger tip device and the Apple watch band) and the heart rate monitors I have used for years help me be a better patient and perhaps help him sift through my subjective reports of symptoms. Patients should be able to be active participants in the doctor patient relationship to the extent they are able and willing. I expect some uncertainty and misuse will accompany their introduction to wider use by patients. But, isn’t the solution more data and more scientific study which will be able to inform both doctors and patients about correct usage in the future? I am very disappointed, for example, that I am not eligible for the Apple Heart Study because I have already been diagnosed with AF and am taking medication for it. We need studies of AF patients like me who are willing to contribute their personal observations–maybe something like non-professional astronomy buffs who are able to contribute to professional astronomy. Hopefully, the Alivecor devices will provide an opportunity for creative researchers as well as the new AF patients who are trying to adjust their lives to meet a new challenge. I got my KardiaBand on 12-6-17 and have observed that one must be looking at the watch in order to catch the notice from the Kardia app that HR is out of predicted range. I have asymptomatic AF, and have noticed several substantial HR spikes when checking the history on my iPhone – long after they occurred. It would be a lot more useful if the Kardia app caused the watch to vibrate or make a noise when a possible event occurs so the ECG can be taken right away. My ECGs have been normal. UCSF is doing a heart study anyone can join. Data can be sent from an iWatch or Fitbit or other such device. There is so much technology around AF, which is odd since we don’t even know what AF is. It is possible that AF is an adaptive response to an overworked heart, much as carpal tunnel syndrome is an adaptive response for an overworked wrist. If that is the case, then attempts to maintain sinus rhythm in people with AF are missing the point. Moreover, even if technological intervention to convert the AF rhythm itself (rather than fix its underlying causes) is justified, the current technologies have not been shown to succeed at their purpose, and it is a little scary that such big interventions are being made with so little data. Watchman may be the most egregious example, but catheter ablation suffers from the same problem. Ablation is done preferentially on people who are “early” in AF and have PAF. Detecting PAF in a population selected for being early in the disease cannot reliably be done with a 24-hour Holter. And after 1 year, follow-up is often by self-reporting, even though one of the effects of ablation seems to be that it makes it harder for people to detect that they are in AF. It may be that ablation is doing absolutely nothing, and that what we see with ablation “success” rates is what we would have seen in the predominantly PAF population at one year anyway, on a 24-hour Holter — i.e. NSR. How could AF be adaptive? It reduces the pumping capacity of the heart, thereby forcing people to slow down a little. It may seem counter-intuitive to posit that AF may be adaptive, since AF is strongly associated with stroke and heart failure. Evidence indicates, however, that there isn’t a robust temporal association between AF episodes and stroke. As to heart failure, we can’t really measure the relationship of untreated AF to heart failure since we can’t identify all the underlying causes of AF to separate their effect from that of AF itself. If AF is an adaptive response, then it’s counterproductive to try to force hearts with AF to stay in NSR. Instead of so much research time and money being put into better ways of forcing the heart to maintain NSR, we should perhaps be studying the underlying conditions that produce AF, and working on them.